The trailers and TV spots for Godzilla can afford to avoid looking directly at the titular monster because he can be identified by the sound of his roar. It’s a sound that has remained with the monster through his many iterations and pictures, and it will be with him in the upcoming sequel/reboot. 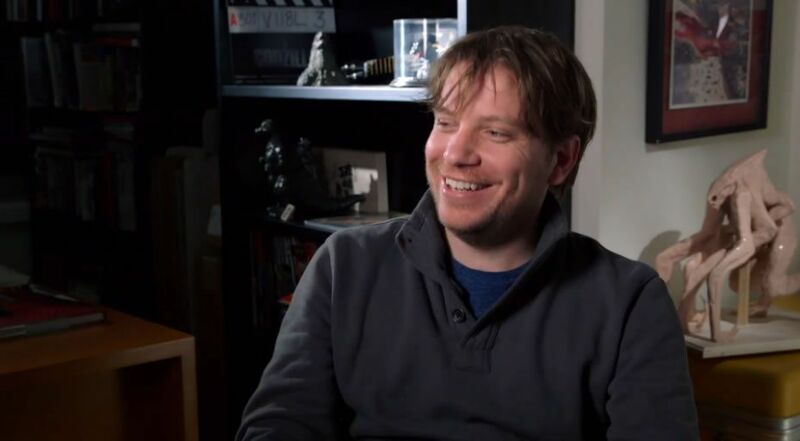 In a new featurette, director Gareth Edwards, sound designer Erik Aadhal, and producer Thomas Tull talk about the iconic roar, and it’s a little funny to see everyone laboring over gigantic soundboards when it was originally created in 1954 in a far more lo-fi manner (according to Wikipedia, composer Akira Ifukube “produced the sound by rubbing a resin coated glove along the string of a contrabass and then slowing down the playback). Perhaps it would have been better for the remake to just get Bryan Cranston to do the roar. His impersonation isn’t too far off. Hit the jump to check out the new Godzilla featurette. The film opens in 2D, 3D, and IMAX 3D on May 16th, and also stars Aaron Taylor-Johnson, Elizabeth Olsen, Ken Watanabe, Sally Hawkins, Juliette Binoche, and David Strathairn. Also, unrelated to the roar, look at the background of the interview with Edwards. I’m pretty sure that model is for a new kaiju we’ll be seeing in the movie.